Another successful year of MommyCon has come to an end. From the looks of it, San Jose was pretty awesome yesterday. I was excited to be part of the 2016 MommyCon Street Team. Y'all know I love MommyCon- I've been 4 times! If you haven't been yet - the 2017 schedule is already out and the cities are pretty cool. Maybe I'll see you at one next year! If you used my code this year and signed up for my giveaway. Rafflecopter has picked a winner! 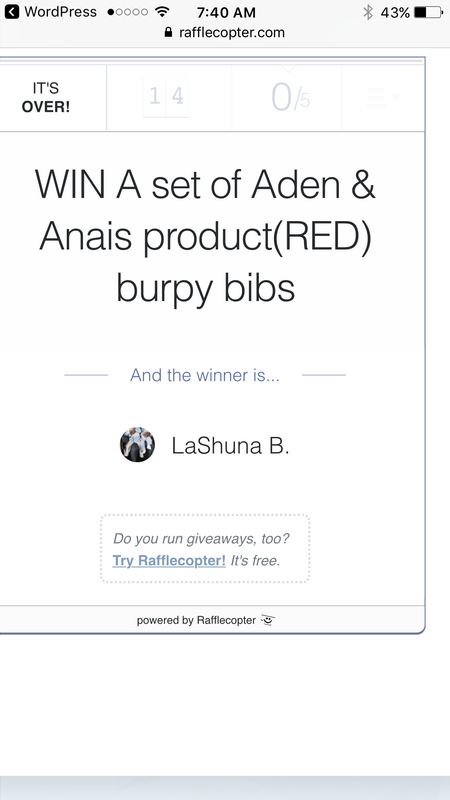 Congratulations LaShuna B! Check your email. Stay tuned! I have some exciting MommyCon news coming soon and a lot more giveaways!